According to a recently published study in the Clinical Journal of the American Society of Nephrology, diabetics who increase their intake of potassium may decrease their risk of heart and kidney disease. With obesity rates on the rise, there has also been an increase in the prevalence of type 2 diabetes. This means that complications associated with diabetes, such as kidney disease and heart disease, will affect more people. High blood sugar and high blood pressure are contributing factors that lead to kidney disease and heart disease. Clinicians typically advise diabetics to increase their physical activity levels and eat well-balanced diets to help control diabetes and prevent its associated complications. Clinicians also advise their patients to reduce their sodium intake. High sodium intake can result in high blood pressure that leads to heart disease. Furthermore, health professionals often encourage their patients to increase their consumption of fruits and vegetables. 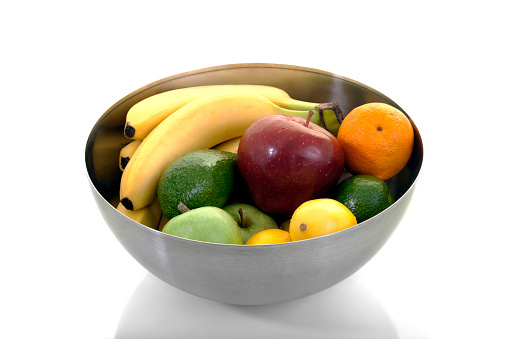 These foods are high in potassium, which can help lower high blood pressure and reduce one’s risk of having a stroke. Researchers from the Shiga University of Medical Science evaluated whether increasing one’s intake of potassium and reducing one’s intake of sodium could help reduce the risk of developing kidney disease and heart disease. The study involved 623 Japanese individuals who enrolled between the years of 1996 and 2003. Participants were diagnosed with type 2 diabetes but had normal functioning kidneys. At the beginning of the study, researchers collected participants’ urine samples in order to analyze the amounts of sodium and potassium that participants excreted. The amount of these minerals found in urine is a good indicator of one’s dietary intake. Researchers followed up with participants about 11 years later in order to evaluate their kidney functioning and any development of heart disease. Findings revealed that increased levels of potassium found in participants’ urine samples were associated with a lower risk of heart disease and kidney failure among type 2 diabetes patients who had normal functioning kidneys. There were no associations between the amount of sodium found in participants’ urine and reduced risk of heart or kidney disease. The study’s lead author, Shin-ichi Araki, reported that perhaps by increasing foods that are high in potassium, individuals affected by type 2 diabetes might be able to prevent associated complications of heart disease or kidney disease. However, at the very least, they should be able to slow down its advancement. Previous studies have demonstrated beneficial effects of potassium on reducing progression of kidney disease among patients without diabetes. However, while this study does support that idea, there is no conclusive evidence to support, at this time, the idea that potassium will have a protective effect against kidney and heart disease among diabetic individuals. Researchers suggest that further research is needed to investigate the effects of diabetics increasing their dietary intakes of potassium. “Dietary potassium may help prevent kidney, heart problems in diabetics,” ScienceDaily web site, November 13, 2015; www.sciencedaily.com/releases/2015/11/151113050942.htm. Araki, S.-i., et al., “Urinary potassium excretion and renal and cardiovascular complications in patients with type 2 diabetes and normal renal function,” Clinical Journal of the American Society of Nephrology, 2015; doi: 10.2215/CJN.00980115. Newman, T., “Potassium-rich diets could protect diabetic patients’ kidneys,” Medical News Today web site, November 13, 2015; http://www.medicalnewstoday.com/articles/302530.